The midsize sedan market is about the toughest segment in the industry – led by the Toyota Camry and Honda Accord – so if you’re coming to play, you’d best bring your A-game. With the 2014 Altima, Nissan has done just that, earning it our praise as one of the 10 Best Sedans Under $25,000 for 2014. Not only has the automaker maintained the cool look and sports-car-like handling that made the original Altima such a success, they’ve done so while thoroughly modernizing the Altima in ways crucial to younger buyers. A new Apps-based music and navigation system spearheads the effort, as do a 38-mpg fuel economy rating (2.5 model) and premium materials throughout the handsome cabin. Nissan has done a masterful job making complex audio and navigation systems easy to operate and understand – something both old and young will appreciate. 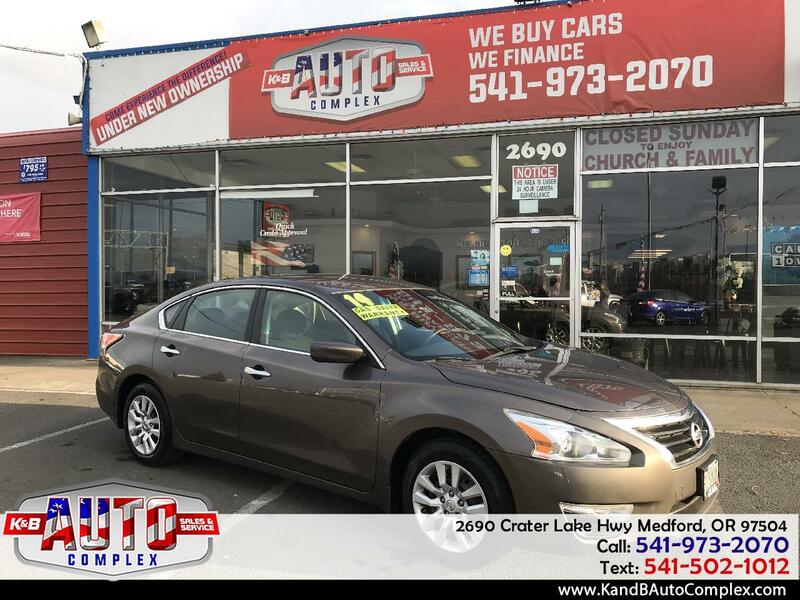 If you like choice, the 2014 Nissan Altima delivers a broad range of models, features and engines including an available V6. Impressive fuel economy on the 4-cylinder model will likely win over most buyers, as will the very affordable Navigation and Technology packages. While the Altima offers a lot of great features, it is outgunned by more lavish (and expensive) offerings from Kia, Hyundai and Chevrolet. Those seeking a hybrid or diesel option will need to shop elsewhere. The big news for the 2014 Nissan Altima is the addition of the latest version of NissanConnect, an apps-driven infotainment system for iPhone and Android smartphones. The system allows connectivity to such apps as Facebook, iHeartRadio, Pandora and Online Search powered by Google. Hands-free text messaging is also included. Nissan’s 2014 Altima may be the best driving family sedan the company has ever produced, thanks in part to the advanced multi-link rear suspension and what is arguably the industry’s best continuously-variable automatic transmission. Nissan engineers benchmarked such premium sedans as the Audi A4 and BMW 3 Series when designing the Altima and the results speak for themselves. The Altima is nimble and light in around-town driving, yet sufficiently aggressive in tight turns as to satisfy the most demanding enthusiast. So long as the road surface remains smooth, so does the Altima’s ride, but over rough patches the taut suspension can fell a bit harsh. The 3.5-liter V6 is strong, but the massaged 2.5-liter four is more than adequate – Nissan clocks it at 0-60 mph in 7.1 seconds – at least for light loads and level roads. The unique multifunction rearview camera performed its lookout jobs well, and the NASA-inspired seats proved as fatigue-reducing as claimed. The Nissan Altima’s tire pressure monitoring system does more than simply providing individual tire-pressure information. When adding air to any tire, the hazard lamps flash to tell you the system is working, then the horn beeps to let you know when you have reached the correct pressure. Part of an available Technology Package, the Altima's rearview camera provides not just the usual what's-behind-me view when reversing, but also Blind Spot Warning, Lane Departure Warning and Moving Object Detection, the latter two firsts in this segment. The 2014 Nissan Altima sedan's cabin is finely crafted with soft-touch materials, but its prime attraction is NASA-inspired "zero gravity" front bucket seats, which approach the relaxed “neutral posture” that the human body assumes in a weightless environment. We can't test them in space, but we appreciate the research, development and attention to detail that have gone into making them as fatigue-reducing as possible by lessening muscular and spinal loads and improving blood flow. Cloth seats and piano-black trim with chrome accents are standard, leather and metallic or faux wood are available, the former with a charcoal interior, the latter with blond. The 2014 Altima rests on the same wheelbase as the 4th-generation car last produced in 2012, but with 1.4-inches-wider tracks and 0.8-inch-deeper fenders to accommodate larger wheels and tires giving the sedan a strong, athletic stance. Its drag coefficient is a slick 0.299. And while the new Altima's nicely sculpted new body is less expressive than the Sonata's and maybe a bit less pretty than the Malibu's or Fusion's, it's easily more distinctive than the Camry's or Passat's. The base Altima 2.5 offers a 6-way manual driver's seat and a 4-way front passenger seat, plus a 60/40-split/folding rear bench seat, power windows and doorlocks, a tilt/telescoping steering wheel with touch controls, remote keyless entry with a pushbutton ignition, NissanConnect Bluetooth hands-free connectivity, and a 4.0-inch color customizable Advanced Driver Assist display. Altima S and SV models add features leading up to the top-line 2.5 SL and 3.5 SL models loaded with leather, premium trim, dual-zone automatic climate control, BOSE Premium Audio, and heated front seats/steering wheel/outside mirrors, plus 18-inch wheels and tires on V6-powered models. Warranty Description: Long term comprehensive warranty available upon request. Ask dealer for details.